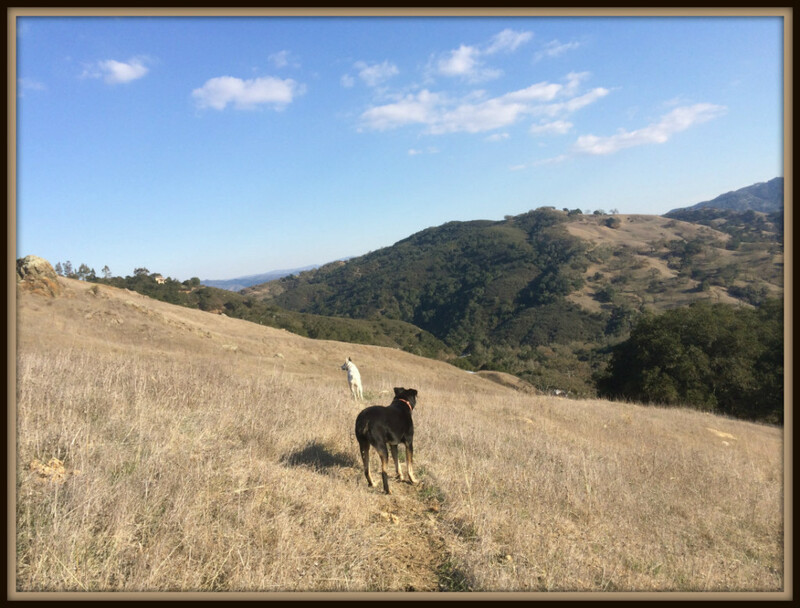 Jerie’s “boys” frolicking in the beautiful California coastal range. How does a Venus feed her soul? Saturday was a hibernation day. I wanted to go nowhere, eat comfort food, and be with my boys. I did just that, cancelled my dinner date and the boys and I hiked some of the property hills. The fresh air, sunshine, and cardio exercise was exactly what I needed to recharge my spiritual batteries. Food for the soul was what I really needed. How many times have I fed my body instead my soul? This is a sobering question for me and one I’ve never asked myself. I eat healthy food that I prepare myself. I avoid excessive alcohol and caffeine. I workout because it helps ease my stiffness and aches. All of these I do for my body, but what am I doing for my soul? I spend hours researching topics to answer someone’s questions. I answer them at all hours. I stop what I’m doing to pick a friend up and drive them home because they need it. It’s amazing the things that I’ll do because I don’t want to disappoint others, but what am I doing for my soul? One could argue that all of these things that I do are for me therefore it stands to reason that, ultimately, my soul benefits. This is an incomplete assessment. I am not feeding my soul with these tasks; I’m satisfying my ego. There is some spiritual benefit so I will continue to help others, but it’s time to focus on helping myself. Starting today I will challenge myself to feed my soul. When I feel that urge to eat something that I don’t need I will ask myself, “am I trying to satisfy my spiritual hunger with food?” I will feed my soul before I feed my body. I know what real hunger feels like, that hollow, growling sensation in my stomach. The urge to snack is not physical hunger. It’s a symptom that is best treated with spiritual food. Meditation, soaking in the sunlight, breathing fresh air, walking, just being present in the moment and taking it all in. These acts feed my soul. PS You can find Venus Ambassador Jerie active and helping others in our exclusive online community.